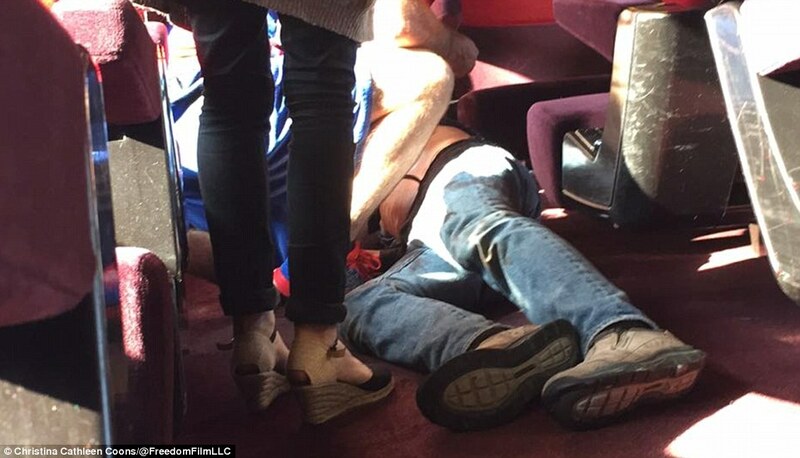 2 off-duty members of the U.S. military subdued a gunman after he opened fire on passengers aboard a high-speed train en route to Paris from Amsterdam Friday injuring 3 people including 1 of the US military members who subdued him. The man was armed with an automatic rifle and a knife. 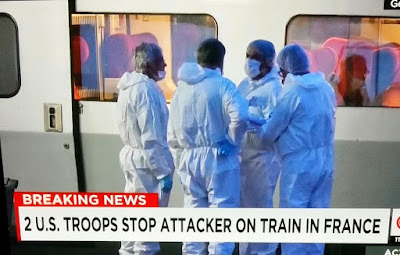 According to one of the unhurt US military personnel who tackled the suspect, he said they saw him acting suspiciously then saw him go into the restroom and heard him loading a gun, as soon as he got out of the restroom, they tackled him but he managed to let out some shots which hit one of them in the neck. 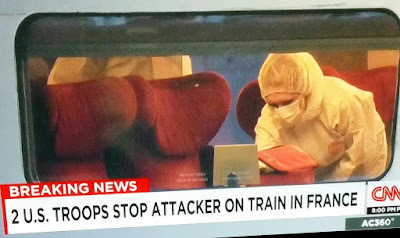 The suspect is believed to be a 26-year-old Moroccan named Ayoub el-Qahzzani, Alliance police union official Sliman Hamzi said on French television i-Tele. 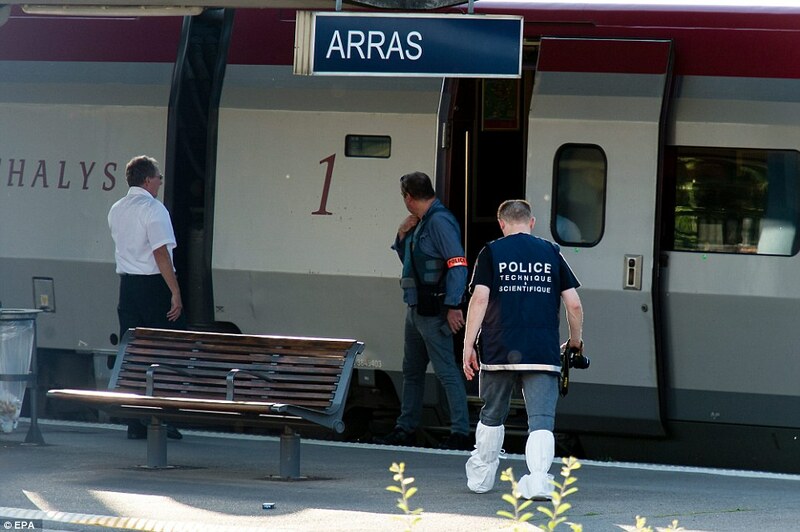 The suspect was arrested after the train stopped in Arras, 115 miles north of Paris, Interior Ministry spokesman Pierre-Henri Brandet said on French television BFM. 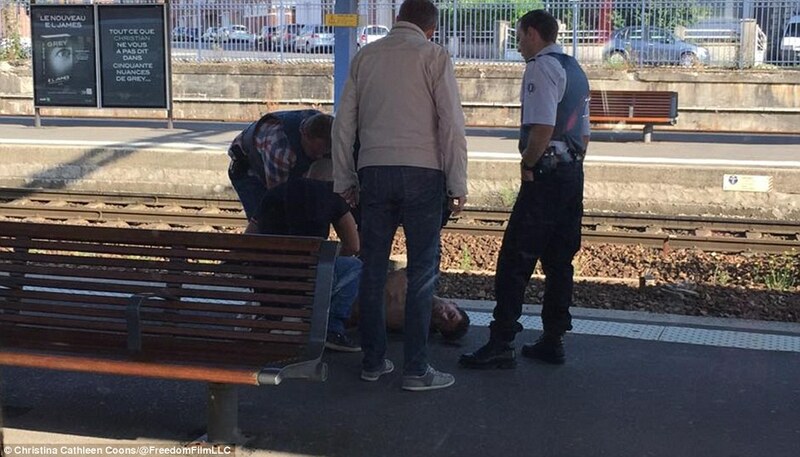 Passengers were evacuated and police have secured the area. 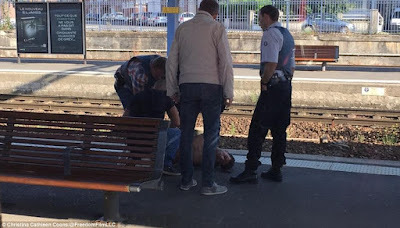 The victims were identified as an American, a Briton and a Frenchman (a celebrity). 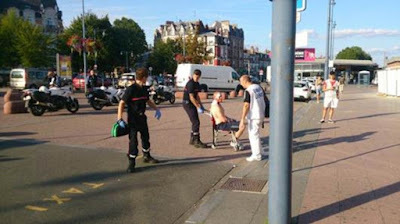 2 of the victims were in critical condition, according to a statement from the office of President Francois Hollande. 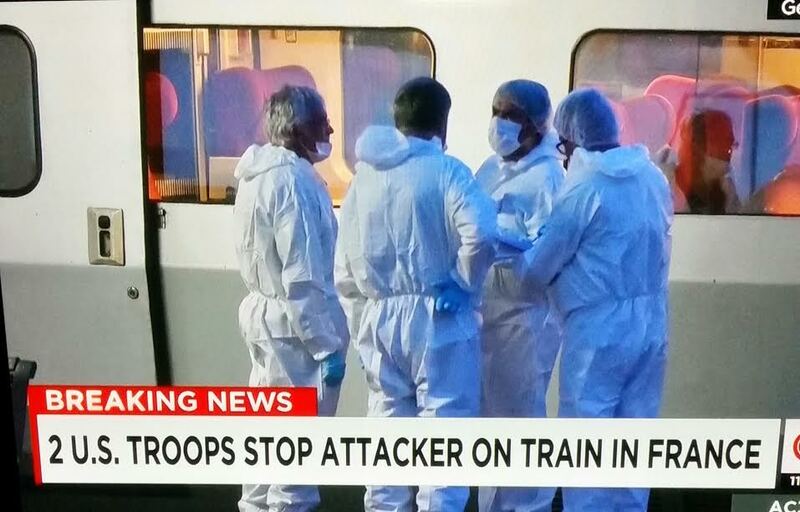 "The situation is under control, the travelers are safe. The train stopped and the emergency services are on site," Thalys, the train operator, tweeted.